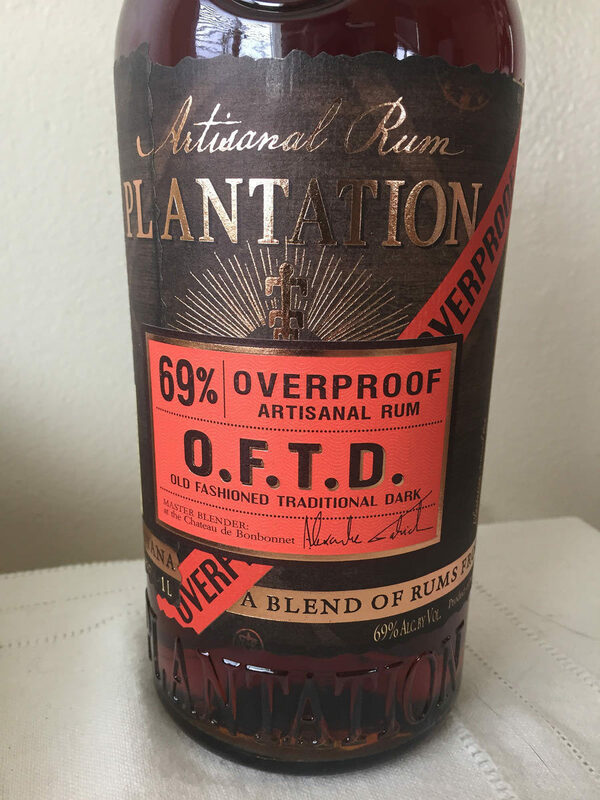 What happens when you take seven rum experts (Jeff "Beachbum" Berry, Martin Cate, Alexandre Gabriel, Paul McFadyen, Paul McGee, Scotty Schuder, and David Wondrich), put them in the same room, grant them access to everything Plantation has available, and ask them to re-invent their Original Dark Overproof? As the legend goes, upon tasting a near-final blend, Wondrich exclaimed, "Oh f***, that's delicious! "—to which the others readily assented. 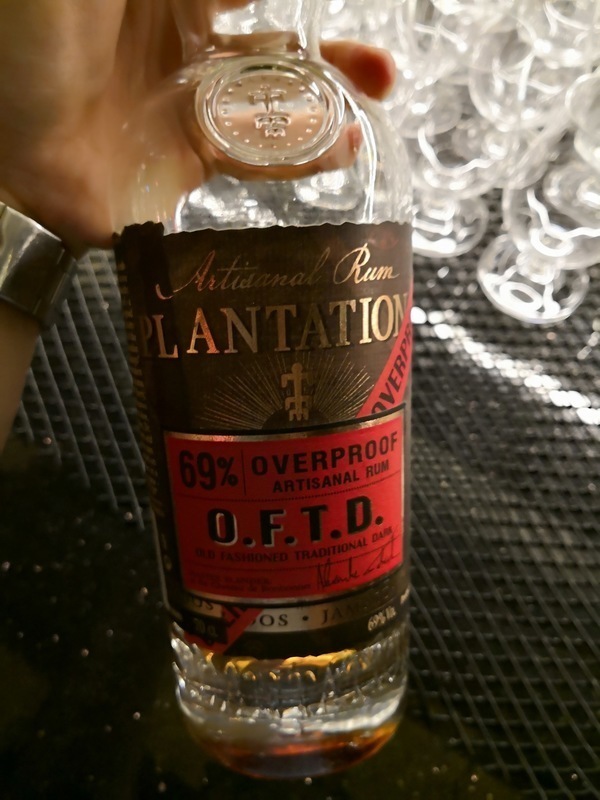 Wanting that to be the name (remember, it had been a long day of rum tasting) but realizing it probably wouldn't fly, they borrowed the acronym and re-applied it to the somewhat redundant "Old Fashioned Traditional Dark". Fortunately, it's all of those things—old-fashioned, dark, delicious... The nose bursts forth with strong, sweet, creamy butterscotch and brown sugar. (I usually dislike butterscotch, but it's just perfect here.) There's also a hint of baking spices. It hits your tongue at full force, with a pleasant burn. Most of the rum in this blend hails from Guyana, but is expertly complemented by funky Jamaican and rich pot-still Bajan rums (unlike the Original Dark Overproof, which was Trinidadian). With its great complexity, sweetness, and high-octane kick, OFTD is just begging to be shaken or blended into something tasty. Try subbing it in for recipes that call for overproof, navy-style, or Jamaican rums; you may encounter—as the creators of this masterful blend did—something unexpected and wonderful. 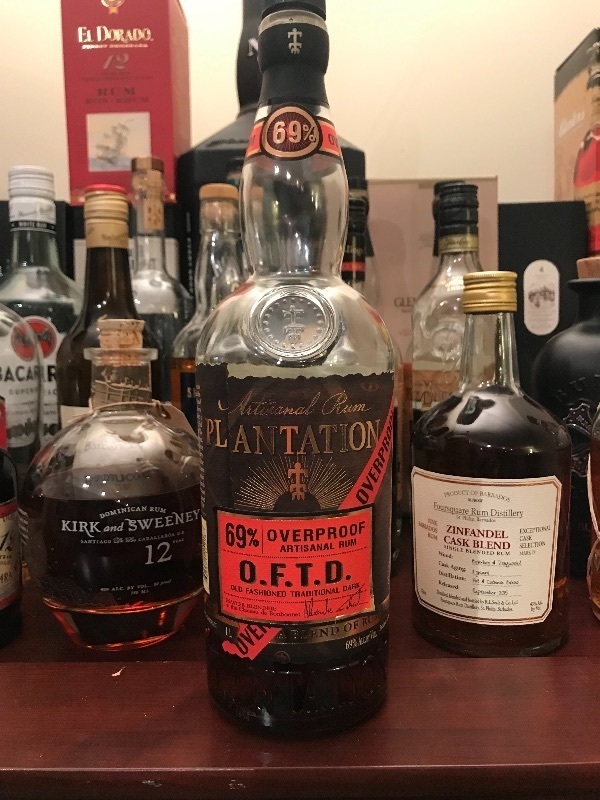 What amazes me is the value at which Plantation has brought this to market—~$30 for a liter of high-quality, 138-proof booze? What are they drinking?! (Oh, yeah...) Here's to hoping they keep this accessible as a bar mixer for the masses. 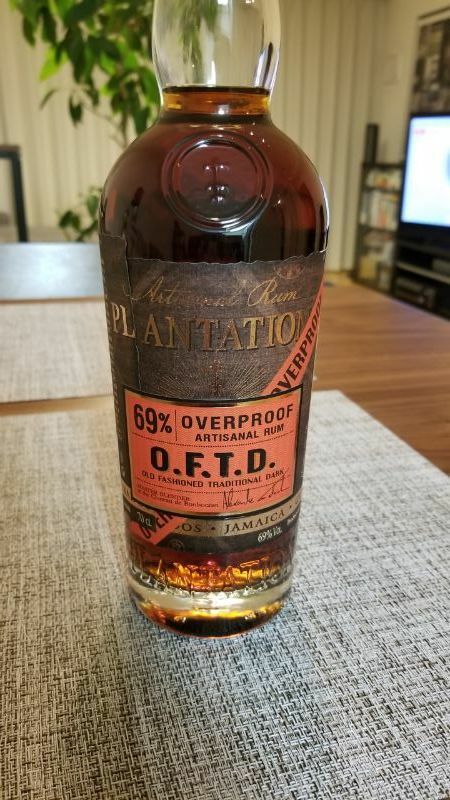 Like Stiggin's Fancy, I do see this as becoming a mainstay of the Plantation lineup for years to come.